After a dry night in the Liverpool area, the going at Aintree racecourse ahead of Saturday’s Grand National eased slightly. The Grand National Weather forecast has dropped back to soft. With ‘heavy’ in the description earlier in the week this has now been removed with the National course said to be ‘soft’ all over, while the Mildmay and hurdles courses are mainly ‘good-to-soft. 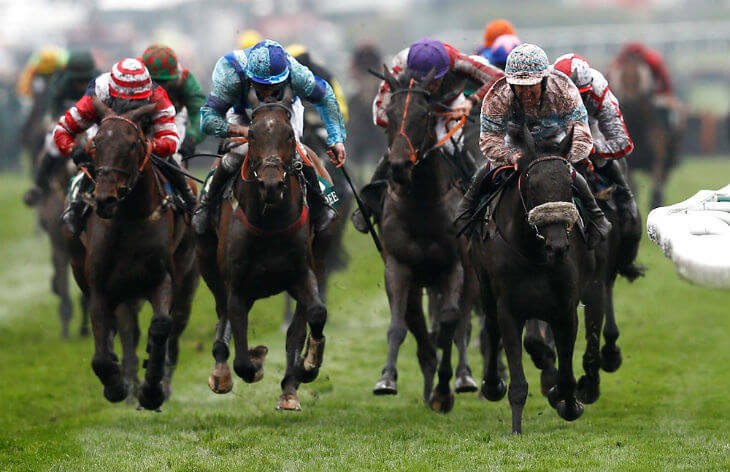 On Tuesday (10th April) the Going Stick reports read: Mildmay 4.2, Hurdle 4.1, National 3.7. Andrew Tulloch – Clerk of the course – amended the going description to ‘soft’ on the hurdle and Mildmay courses, with heavy added to the description on the Grand National track at the Canal Turn, on Tuesday following 8mm of rain. Wednesday is forecast to be cloudy with a few breezy periods, with drizzle overnight, while Thursday, which is the opening day of the three-day Aintree Grand National Meeting, is expected to be dry with sunny spells. Onto Thursday night and showers are more possible, with the same outlook for Friday & Saturday afternoons. “It’s been a long winter and things are a bit backwards, but that’s nature and there’s not much you can do about it. The course is in very good nick, there’s a good cover of grass and the team have done a fantastic job, but it’s more like autumn than spring in terms of soil temperatures and things like that, which doesn’t help.